As if trying to make a career as a writer wasn’t bad enough, I get to my new town in Animal Crossing: New Leaf and find out I am being forced to become the mayor! Well, this sounds like it’ll be much more stressful than any other Animal Crossing game ever. So, why can’t I stop playing it? 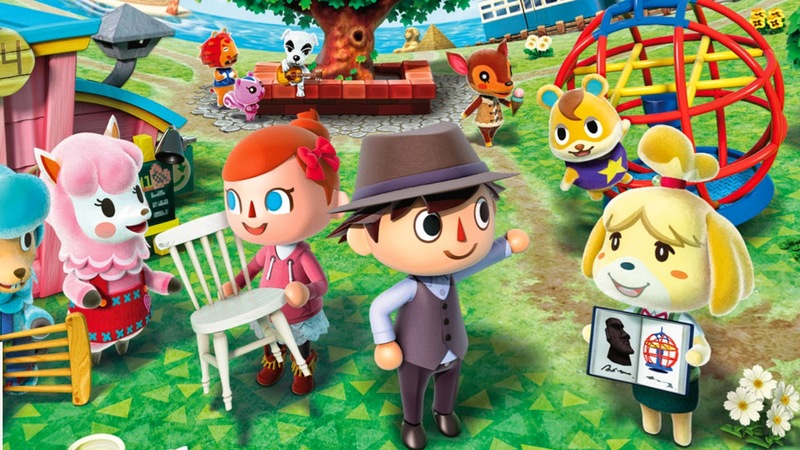 Seriously, Animal Crossing: New Leaf is crazy-addictive. It’s good ol’ life simulation fun. As per usual, you have to pay a certain raccoon a fair debt for your house, and you can do it by mindlessly grinding, or by grinding a little less mindlessly. The payments don’t end there, though. After getting a house so you can move out of your tent, you can keep adding to your house and expanding it and making it more and more to your liking. You can collect fish, fossils, weird little Tiki things, bugs, you name it. And you can keep them, you can get money from them, or you can give some to the local museum. I personally keep bugs in containers in my house. I’m not really sure why. But, hey, you’re the mayor now. You can do whatever you want! Kind of. You’ll probably want to keep up with your responsibilities, of course, with the help of your adorable little secretary. Before, you were doing favours for the other characters to make friends. Now, such actions can often be business moves. And now, not only can you customize your looks, right down to the pants you wear and the shoes on your feet. 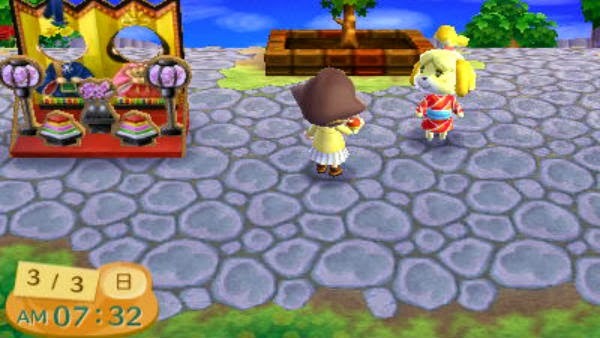 You can customize the look of your town. There’s the age-old planting of foliage. There’s also creating paths and adding things to pretty your town up, like lampposts. And it’s all in the name of making the people of your town happy. Your citizens come and go, too. There’s a lot of random chance in this game, like what fossils you’ll find, or how many. Who lives in your town is random, too. Although, if you want, you can basically kick someone out. I mean, they’re all still adorable little talking animals that make weird, cute sounds. If you decide one of them is being a real jerk, though, it’s possible to use your new-found power as mayor to essentially give them the boot. 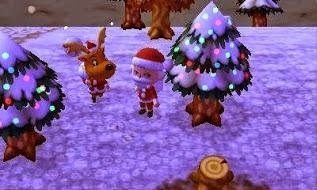 Your friends can come and visit your wonderfully decorated town too, and help you with accomplishments, give you things, or take things. If you want, you can even go to an island where you can find different plants, bugs, fish, and items from those in your town. See, not only is Animal Crossing: New Leaf addicting and endless, new features have been added so that playtime per session is extended. If you like life simulation games – games like The Sims, Harvest Moon, or other Animal Crossing games, you could get stuck playing this for hours and hours each day. It’s great for long bus rides – say to school or to work. If you do manage to play for only five or ten minutes a day, you could play it on your breaks at work. You could kill hours with it alone in your room, too. As long as you like life simulator games, because not everyone does, this is definitely worth your money. You’re guaranteed to clock tons of hours. And since it’s in real time, you’ll probably have several play sessions with it per day. So keep that 3DS charged for Animal Crossing: New Leaf.